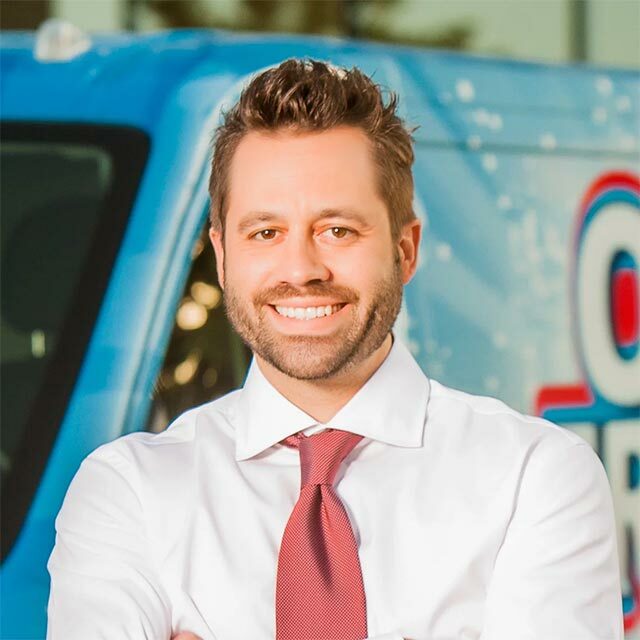 LAKEWOOD, CO – USA Weekly recently conducted an interview with Jonathan Barnett, president of one of the nation’s fastest growing carpet cleaning franchises. In the article, which is part of series of interviews that focusing on business, Mr. Barnett shared his experiences founding the company and helping it achieve its current level of success. The interview focused on how Mr. Barnett saw his responsibilities as the company’s president, what makes Oxi Fresh special as a company, how he’s found ways to help the brand grow, and more. According to Mr. Barnett, one of the tasks facing the brand was finding “low-cost growth opportunities for [his] franchisees.” In his mind, these types of opportunities can cover a wide range of options, each of which needs to be considered. These could be efforts to educate franchisees on new programs or to seek out entirely new marketing options. The company also recognizes that discovering new programs is only part of the solution. Quality implementation is also something that is important to them, especially given the carpet cleaning franchise brands large size. They have over 355+ locations across the United States and Canada. Mr. Barnett feels that pursuing said projects is one of his chief responsibilities as the company’s leader. His duties are to find new ways of accelerating the company’s growth and development, and they are a charge he takes seriously. 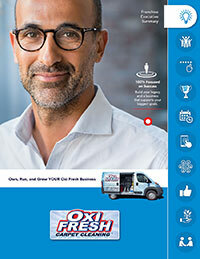 In terms of what has separated his company from the competition, Mr. Barnett talked about Oxi Fresh’s reputation as a “fast drying, green carpet cleaning service that leaves floors looking and feeling years younger.” When compared with the traditional cleaning methods that customers were used to – steam cleaning with extended dry times – Oxi Fresh was able to quickly establish itself as a more convenient alternative. The carpet cleaning franchise brand also distinguished itself by placing focus on its green process. Where a traditional cleaner will use 40-60 gallons of water to clean an average home, Oxi Fresh only requires two gallons of water. The company estimates this 95% reduction in water use has helped save over 35,000,000 gallons of water since 2006. Another significant way the company stood out is in its efforts to modernize the back-end side of the business by establishing a “streamlined, modern business platform.” Oxi Fresh has integrated a number of software systems and programs in an effort to improve their franchisees’ ability to run their businesses. The second lesson was, “Speed through Systems.” Mr. Barnett is a firm believer in the value of creating systems designed to eliminate unnecessary work so that his franchisees can instead pursue growth opportunities. The final lesson is “Let go to grow.” For Jonathan, this is an important philosophy that he believes is key to growth. By empowering his team and creating leaders, the business can truly develop. Business owners who refuse to let go can, in the end, cripple their own future. To read the full interview, click here. To learn about what makes Oxi Fresh Carpet Cleaning special, click here. To learn about the advantages of owning your own carpet cleaning franchise, click here.